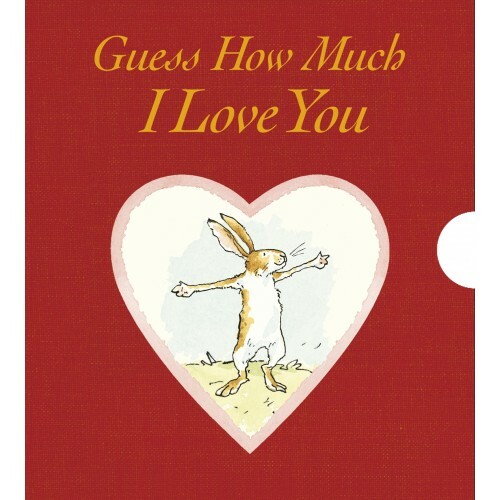 A mini pop-up version of the well-loved classic Guess How Much I Love You in a red fabric slipcase - perfect for your Valentine. "I love you right up to the moon - and back." Guess How Much I Love You is the story of Big Nutbrown Hare and Little Nutbrown Hare, and the adorable game they play to express their love for each other. But as each tries to outdo the other, the hares discover that love is not an easy thing to measure! This delightful gift-book folds out to a length of 150 cm, bringing this beautiful classic story to life - a precious present to give to someone you love.